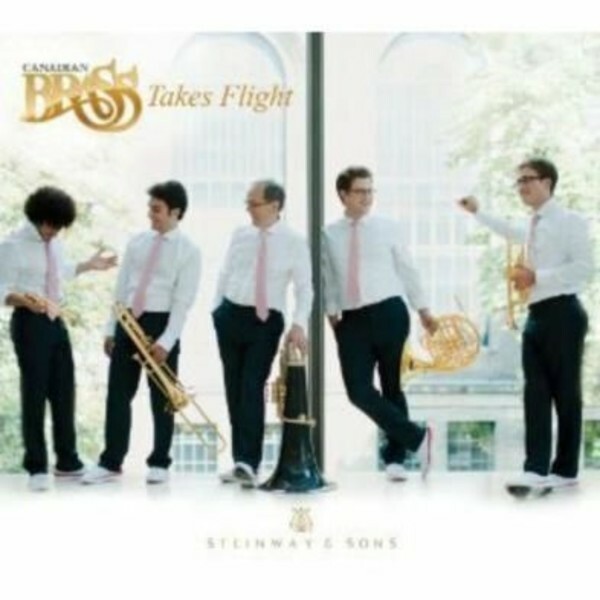 This CD of the Canadian Brass is a cooperative venture for the Opening Day Entertainment Label and the Steinway & Sons label, and the first recording with all of the new permanent members of the ensemble: Charles Daellenbach (tuba), Chris Coletti and Brandon Ridenour (trumpets), Achilles Liarmakopoulos (trombone) and Eric Reed (horn). This is the first recording the Canadian Brass have made with their new custom-made gold-plated instruments built by Conn-Selmer. The repertoire features favourite encores, new arrangements and world premieres. As with their other recent releases, this disc is an audiophile sonic blockbuster, produced by Dixon Van Winkle and MB Daellenbach.